Athletix Kidz is the UK’s first Athletics specific programme for children between the ages of 2 ½ yrs–7 yrs old. It was the Olympics in London during 2012 that became an important milestone for us as a nation creating Olympic and Paralympic legacies inspiring thousands of young children throughout the country. This gave children and their parents the drive to participate in all kinds of sports. 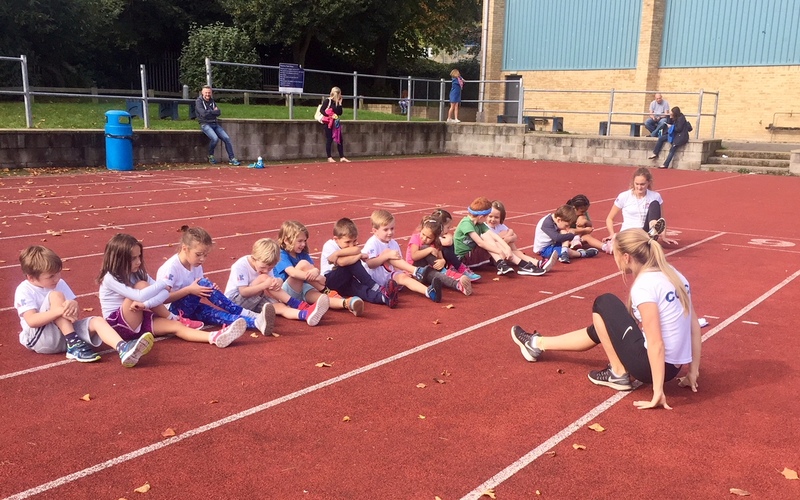 Having then experienced watching the Olympics in RIO in 2016 we decided to launch an athletics programme for children under the age of 8 which would allow them to learn the basic fundamentals of running, jumping and throwing whilst having lots of fun! Athletix Kidz was born! Over the last 10 years we have been watching our own children compete from an early age through our local athletics club. We have been lucky enough to travel the length and breadth of the country following our eldest daughter, Lucy, our lead coach, now competing nationally as a sprinter. Currently most athletics clubs take children from 8 years old; therefore, we felt it was necessary to offer children under this age the opportunity to exercise through athletics. With the benefits of running, jumping and throwing children experience the joys of its multi event culture which gives a child the platform for all other sports going forward. Our programme is designed to develop physical, social and cognitive development for your child whilst encouraging confidence, positivity and well being! This is the ONLY athletics play programme for your child. We look forward to hearing from you to find out for yourself!